The sound of bells ringing is deeply rooted in British culture. 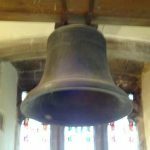 Almost everyone in Britain lives within hearing range of bells, the sound of Bells ringing on a Sunday is a part of our history both past and present. Change ringing is the art of ringing a set of tuned bells in a controlled manner to produce variations in their striking sequences. 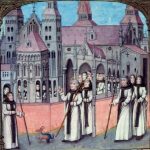 Before the reign of Henry VIII and the Protestant Reformation, most bells in churches and monasteries were hung on a simple spindle and chimed by Deacons pulling a rope. During the dissolution of the monasteries in 1536 abbeys and buildings were stripped and sold, and this often included the removal of many church bells. 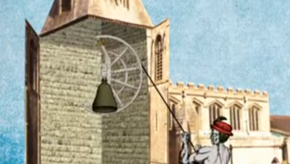 Following the Reformation, many churches began to rehang bells, with most using the new technology of bells mounted on a whole wheel. This gave much greater control using the rope, but the final refinement was a stay and slider to be able to ‘set’ the bell. There was a long development period during the decades when the whole wheels were appearing, up to the mid 17th century when orderly ringing involving changing note patterns began to take place. 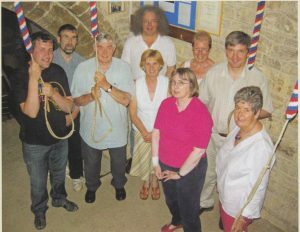 The bells of St Lawrence are still rung on Sundays, with bell ringing practice on a Wednesday evening. If you are interested in taking up the hobby, why not come and see what happens, contact us and we will be delighted to show you and maybe even get you to try a little ringing yourself. You don’t have to be musical or strong, our youngest ringer started when she was nine. Two of the bells in St Lawrence date back to the Thirteenth Century, amongst the oldest in the country. There are six in total but these are hanging in the tower, and visitors cannot see them, however there is a bell dating back to the Fifteenth century which became damaged over time and was replaced in 1981, it now hangs in the South Aisle for visitors to be able to view.